Our product range includes a wide range of pull cord rope. 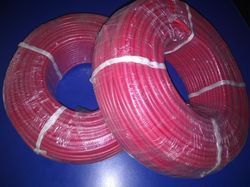 6*7 32 gauge GI Wire construction, covered with PVC. and bunched around a thread to maintain flexibility and specially extruded for material handling plant use.